Depalletisers produced by Goldpack are made from high quality materials that ensure long life-span of machines. 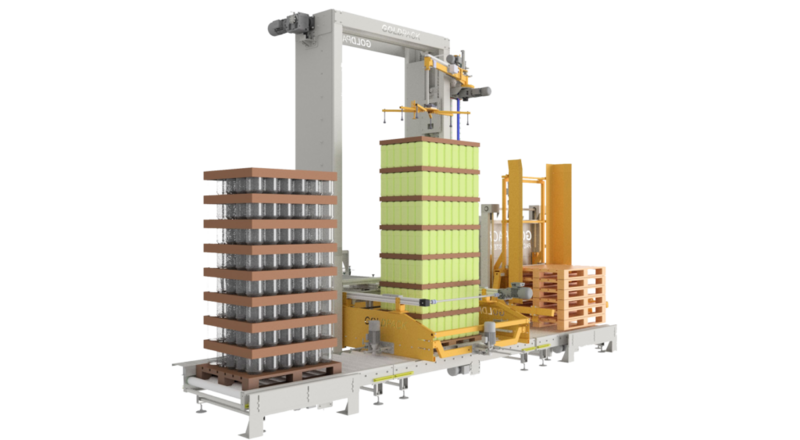 Due to world-class manufacturing standards our depalletising equipment deliver outstanding results that are both – great productivity and energy efficiencies of depalletising machines. All of the machines are in compliance with highest standards demanded world wide. Furthermore, you can choose from different types of depalletizers. There are bottle, bags and can depalletisers available, as well as depalletizers for other products; such as bricks, paper etc. In addition, we are not only offering standard depalletising solutions, but also tailor made solutions, that best suit our customer’s needs. All of our depalletising equipment is made from high-quality materials and built-in parts. Furthermore, machines are time and cost efficient as well as user-friendly. Last but not least, all of our depalletising equipment is in compliance with highest standards required world-wide.